During the festive party season it's all too easy to get stuck in a bit of a red rut when it comes to the lip department. I myself instantly went for MAC 'lady danger' for my Christmas party makeup look earlier this week because red lipstick was just made for this time of year! However, it's also nice to mix things up a bit and crack out a punchy pink for party time. My pink party lip of choice has to be the Bourjois Rouge Edition Velvet in 'Ole Flamingo'- it's a firm summer favourite that's come into its own once again because of the liquid to matte formula that literally doesn't move from the lips. I wore this all day yesterday and it survived my greasy food and excessive cups of coffee hangover binge whilst bringing some much needed life back to my face. It also makes your teeth look whiter and is perfect with a black dress and bit of glitter! Get your pink partayy oooonnnn. 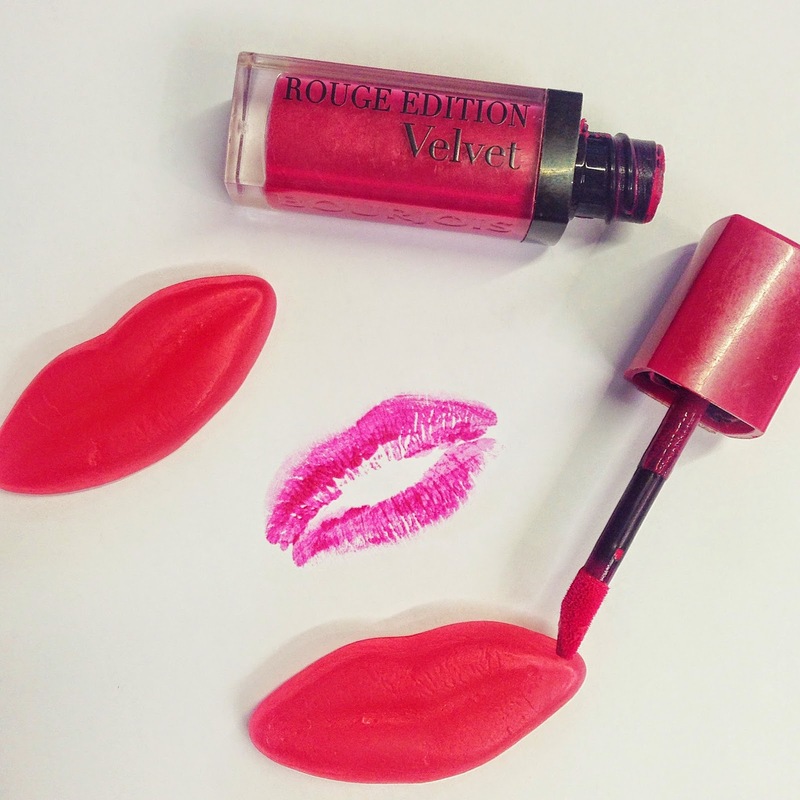 What's your perfect party lip? Great shade! Wish we had Bourgois in the states! Haha love the use of the gummy lips! I have this and love itttt.